Historically, owning a battery-electric vehicle has not been especially easy for most U.S. consumers. Nevermind the finite range of the average BEV battery pack; the real obstacles are recharging times, and the scarcity of EV charging stations country-wide. Most any limited BEV range would be sufficient if the owner could plug in most anywhere, and if recharging took about as long as refilling a gas tank. There’s not much Google can do on the latter point, but the company is now trying to help at least partly alleviate the issue of uncertainty regarding charging station availability. 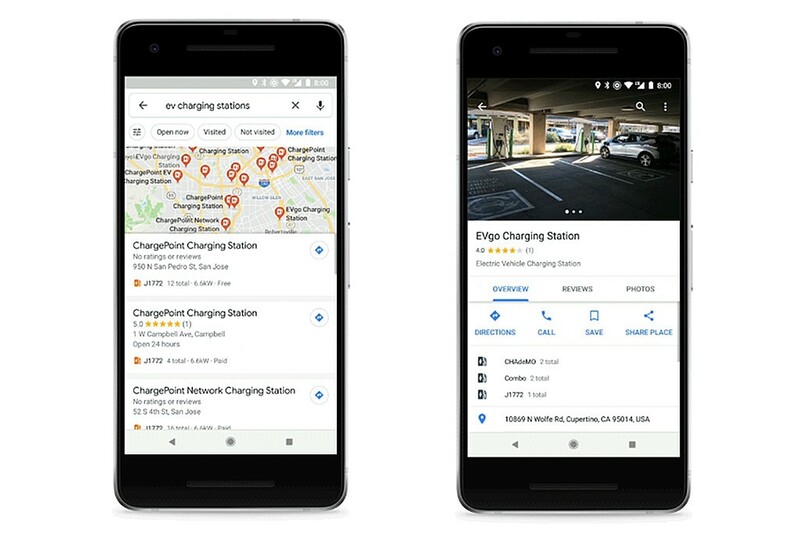 Last week, Google Maps rolled out a new feature on Android and iOS that allows users to locate EV charging stations and access information about each of the sites. The feature will be added to the desktop computer version of Google Maps in the coming weeks, the company says, and it could help drivers of the new Chevrolet Bolt EV and discontinued Chevrolet Spark EV plan for their commutes. Businesses can even add information on their own EV charging stations to the map, if they so choose. Alleviating the charge- and range-related inconveniences associated with BEV ownership is crucial to driving future adoption in the future, and services like Google’s new EV charging station location feature might just make the difference for many potential customers concerned with charging availability. Suddenly, the 2019 Chevrolet Bolt EV looks just that much more practical a choice. Stay tuned for all the latest GM-relevant powertrain electrification news. Apple Maps—along with the myCadillac and myChevrolet apps—does the same thing. But the PlugShare app (and plugshare.com) is a much more comprehensive way than any of them to search for charging stations—stations that are useful for all plug-ins (not just the Bolt EV and Spark EV, but also Volt, ELR, CT6 Plug-In). The benefit to PlugShare is that it shows all locations, not just specific commercial stations. It also allows you to plan trips based on charging locations and see feedback from other users about whether the stations actually works.